The brand new INTI International College Subang campus played host to the finalists of the 2013 CIMA Global Business Challenge – Country Level Finals where Team Managenius of INTI International University emerged second runner-up in a competition to determine Malaysia’s representative at August’s grand final in Johannesburg, South Africa. Five teams from private universities in Malaysia proved their business management acumen in analyzing the operational and management issues faced by Jot, a fictitious company that designs and distributes toys across Europe. Each team had to present a two-page synopsis of its case study report, produce a two-minute video about the team and CIMA, and do a 30-minute oral presentation of its report which was followed by a question and answer session with the judges. Team Managenius (from left: Teh Kok Long, Wong Jun Yuen, Tan Pei Wen and Tay Sze Ying) with Venkkat Ramanan, Head of SE Asia, CIMA (3rd from left) and Jeyasothy Palakrishnar, INTI’s Vice President, Employer Relations (4th from left). The two teams from INTI International University, and one each from International Islamic University Malaysia (IIUM), Tunku Abdul Rahman University College (TAR University College) and Universiti Teknologi Malaysia (UTM) beat 20 other teams to qualify for the country level finals. Team E-Z from UTM was the eventual winner at country level. 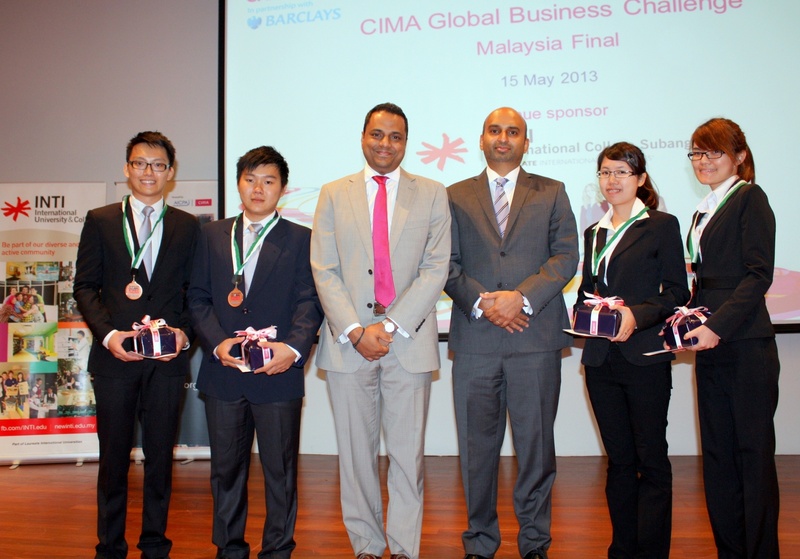 Organized by the Chartered Institute of Management Accountants (CIMA) in partnership with Barclays, the CIMA Global Business Challenge is an international business competition designed to showcase business leaders of tomorrow and offers university undergraduates a real taste of the business world. It provides a platform to the participants to analyse and provide solutions for real life business case studies, and gain the skills required to become business leaders. UTM’s team will join 100 other participants from 25 countries to present their proposals to a panel of high profile international judges and to participate in a question and answer session with the judges at the end of each presentation. Participants in the grand final will also be given the opportunity to connect with a global network of like-minded and ambitious students through the CIMA community. 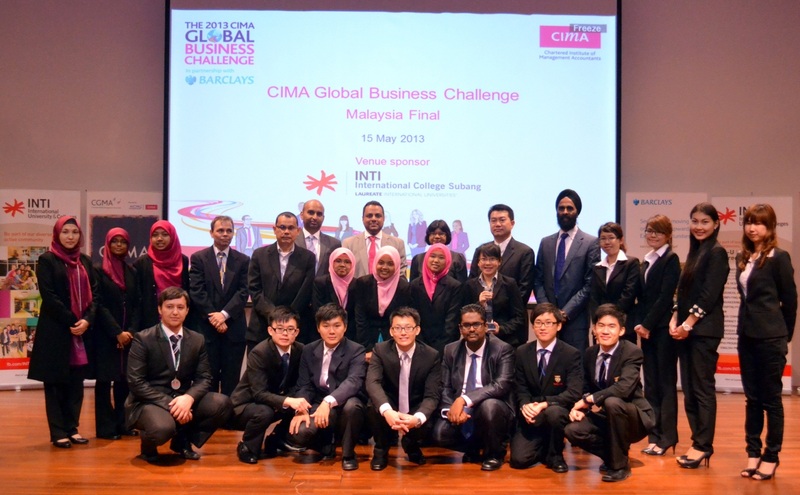 At INTI, the CIMA Global Business Challenge is one of the many opportunities available to help students build up competencies through innovative learning. INTI’s students have undertaken 125 innovative projects in the past year in collaboration with industry partners. Real employer projects ranging from “Ways of doing business and how to setup a company in Myanmar” to “Development of a research book that identifies the changes shaping Malaysia’s marketing landscape and consumer behavior trends” were introduced in the classroom to help students develop problem solving, collaboration, communication and critical thinking skills. Such projects serve as an inspiring component of higher education and are expected to play an increasingly important role in teaching and learning for years to come.